You might recall those rumours from around 18 months ago that Universal was considering a Middle-earth theme park. Nothing ever came of that, but it appears that an eight-hectare Middle-earth theme park to be called La Comarca (The Shire) will soon be built in Rincon de la Victoria in Spain. RINCON DE LA VICTORIA is to be the home of a fantasy theme park based on the universe and characters created by JRR Tolkien. Eight hectares have been allocated for the park, which is to be named La Comarca (The Shire). The project was unveiled today by the town’s mayor Francisco Salado at the international tourism fair FITUR, currently taking place in Madrid. 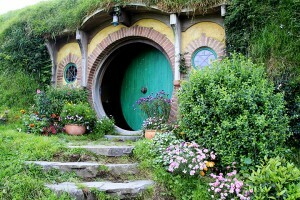 “The Shire will become one of the major tourism attractions of our town. The material will have a very low environmental impact, to create an integrated image in nature,” said Mr Salado.